You probably know this by now, but IT equipment is expensive. Servers, workstations, tablets, switches, cabling, mobile devices – they all add up and in larger organizations it’s important to know the state of that equipment. You don’t want to acquire a business only to find out that the servers and workstations all need to be replaced and you’ll be looking at a few hundred thousand dollars in upgrades over the next year or two. Take the time to understand how old the workstations and servers are before your make your decision on a business so that you can predict how much you’ll have to invest. How is the network currently maintained? Do they have a network admin on staff? Is it managed by a Managed Services company? You’ll want to ask for documentation and reports in order to understand all the technology processes like backup, updates and security measures in place. This is extremely important, because if you purchase a business that gets a virus, gets hacked or goes down – you need to understand what the process in getting back up and running looks like BEFORE you acquire it. Its extremely important to find out about the state and quality of the Internet provider. How fast is the connection? Is that connection workable for the users? If not, you’ll need to look at upgrade options. If there are not multiple lines of services available to you and service is spotty or unreliable in your area, this is a huge factor in the productivity of your users and you might even want to look into relocation if this is the case. All of these factors are important to understand before you reach the final stages of negotiation with a prospective acquisition. How are their current customers and clients interacting with their line of business application? What are the expectations with their technology and website? You should conduct a certain number of customer surveys or get references of current customers to understand exactly how any software is being used or what the expectations are so that you can understand if they’ve experienced downtime, or how they’re delivering for their customers using technology. You’ll want to ask about any outages in phone lines or slow workstation comments, as this could help you understand the perception of that company from the outside and how the state of their technology is impacting their reputation. Without a doubt, the most important thing to do (that will unlock the majority of your considerations) is to hire an external Managed Services Provider or technology consultant to perform an audit. This will help you to identify network issues, understand the state of hardware and determine if the internet is appropriate. It will give you a good idea of security and how things are either being addressed or not. You can get a comprehensive evaluation in order to help determine what your expected improvement investment will be and take that to the bank by leveraging it as a negotiating tool. 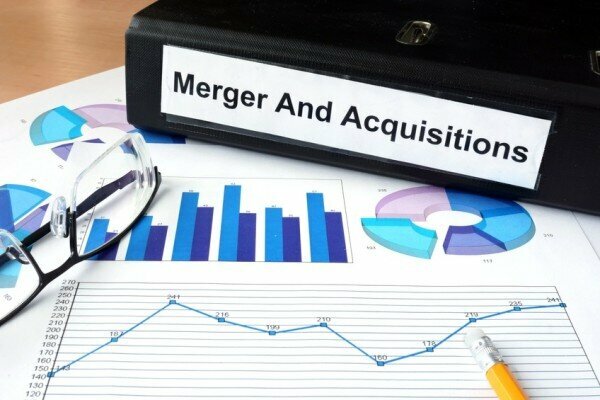 You would never enter into an acquisition or merger without having a full understanding of company financials. Technology has a massive bottom line impact for many organizations. In order to avoid surprise expenses and catastrophe along the road, it’s important to identify the state of any business’ technology that you’re considering for acquisition. These considerations along with a comprehensive technology evaluation will arm you with the information you need to negotiate with (or eliminate) a prospective business.